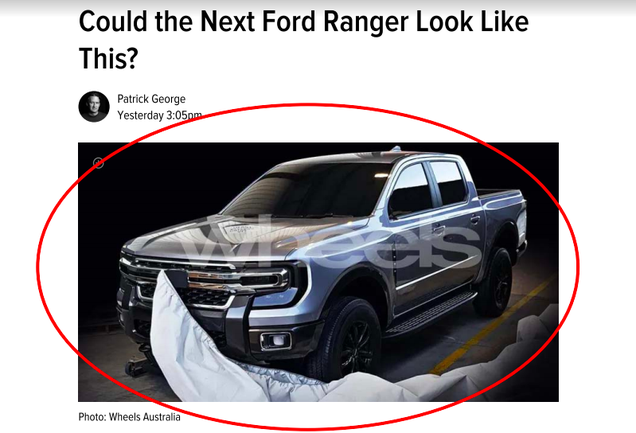 Ford Inside News Community > Discussion Area > Ford Truck Discussion > 2021 Ford Ranger? Headlights look very fordish, doesn't look like all this new Chevy mess at all. 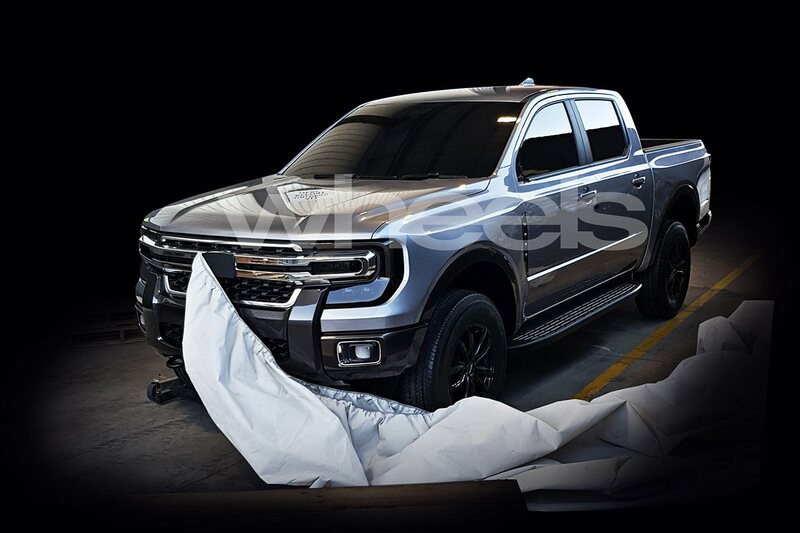 It's the almost full-width chrome horizontal bars that give it a slight Chevy feel at first glance but I do see F-series styling cues on the front end. I have to admit, it looks interesting. I also noticed that the basic cab looks like it's based on the current one but with new skins that add prominent creases and folds to the sides. The bottom of the rear side window has a slightly different shape but it looks like it could be using the same glass. Last edited by AM222; 02-25-2019 at 12:00 PM. I suspect that this is just somebody's rendering. Might even be from an anonymous Ford designer but the logo up front is covered up. Could be close to the next-gen design or not. It's a nice tease, though. Perhaps this also tells us how stupidly similar the design languages are between the 2 brands ... despite the resulting trucks looking different ... all the cars/trucks just look alike. I suspect that this is just somebody's rendering. It could actually be a clay model. Looking at the details, it has no side mirrors and its front wheels are on dollies (probably so it can be moved around or pushed out of the studio to see how it looks like in natural daylight). Last edited by AM222; 02-24-2019 at 07:35 AM. Those vertical plastic pieces covering the front bumper and going to the headlights would not make it to the US. 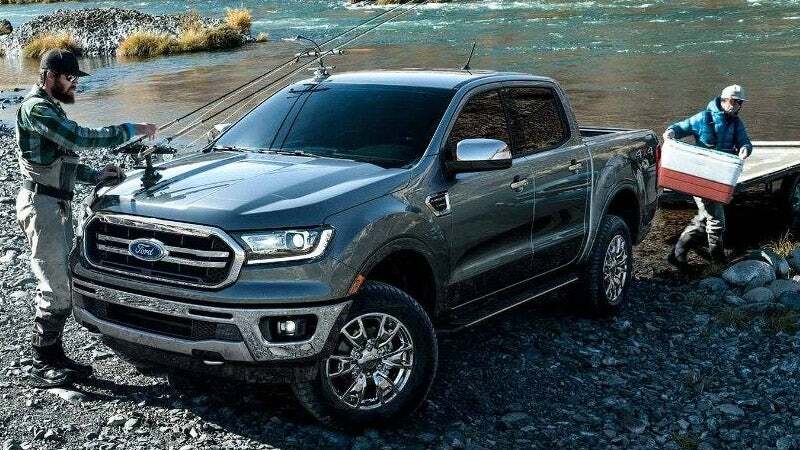 After a specific re-design to an all steel bumper, this would not work here, in fact it would be a terrible idea, as it looks like it is attached to bumper, body, and outlines the headlights. One bump and the things crack up. Well, if Jalopnik is correct, we have confirmation. Attached is a screenshot on which the photos have been circled.Ford did not authorize release of the photos, which Ford has strong reason to believe were released in violation of a non-disclosure agreement. Please let me know if there is anything else that you need in order to consider this request. Ford asks Jalopnik to remove the photos as soon as possible and by no later than February 25, 2019.Thank you for your attention to this matter. It had better look MUCH better in the metal, because I find that pic to be utterly fugly. It's far too soon, so this is early concepting is all. It may take some cues I bet, but doubtful it is close. I hope it's fairly representative. I rather like it. And the fact that it wasn't immediately recognizable as a Ranger is a good thing. The last thing I want to see is a mild evolution of the current model, or worse a 7/8 scale F-Series. Off topic, but I wonder if there's ever been serious consideration of a Super Duty Ranger? A model with beefed up frame and suspension providing slightly higher tow and payload ratings? If it was ever discussed, I presume it was nixed because of the price/capability overlap with the F-150. I'm sure there's a market for such an offering, but it's likely a relatively small one.